Jinou smart Platooninsert enables us to power on/ off the specified home appliances through smart phone or other smart devices with network connection. That means we can totally control home appliances even if we are at work, on the way, on a business trip, or in travel. 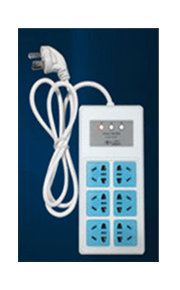 Using the smart platooninsert, we may save much electricity and money; opening while using, smart Platooninsert is your first choice! ODM/OEM: Meanwhile, it can be applied to power-line-carrier, integrating telecommunication and power transmission. Used in Non-long-term power supply control, such as lighting appliances, kitchen appliances ,family video equipment etc. Used in Bottom control each switch, such as office, home , even in car. Used in record switching time. 3 LEDs. Indicate on/off status of each line. The first LED also indicates pairing status. 3 buttons. 1 red and 2 blue. Control on/off of each line. The red button also works as pairing buttom. Can control 3 lines to work in different time.